Only a few people would choose to clean during their leisure time. Yes, you may enjoy doing small tasks like folding the laundry while watching TV. But if you have a choice not to do it, you would most likely choose not to. However, cleaning is not just a simple chore that you have to get over and done with. When house cleaning is not done right, it can result to the build-up of dirt and may cause diseases. This is where a home cleaning service becomes most useful. Having many responsibilities on your plate will wear you out. So instead of spending your extra hours cleaning, you can spend quality time with your family. And although it’ll cost you, hiring a professional cleaner definitely has its benefits. Here are three reasons why it makes sense to enlist the services of a cleaning professional. Cleaning is something that you have to do right or else it would be useless. Hiring a professional cleaning company to do the job means that you’ll get a guaranteed service. Their main priority is cleanliness which makes them the experts in the field. Professional home cleaners undergo training and assessment on their abilities to clean efficiently. They have specialized cleaning techniques that yield good results. 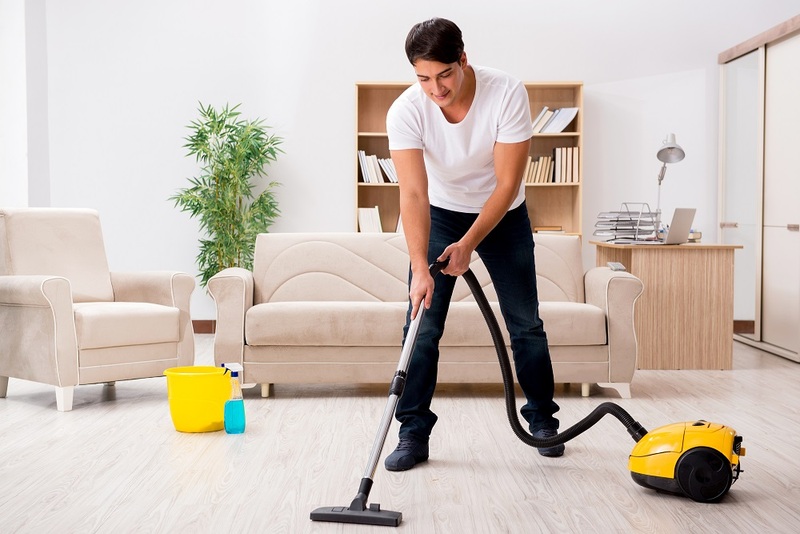 When you don’t have enough time to clean, a house cleaning service can do it for you. A home also has infinite surfaces that need cleaning. Most individuals only clean surfaces which are visible and frequently used. Professional cleaners take their time to clean. Even those hard-to-reach surfaces like light fixtures can be addressed during the cleaning process. They carry equipment needed for the job. Besides the vacuum and usual rugs you use to clean the house, there are specific tools for cleaning. Professional cleaners always carry around the right cleaning essentials. They use the latest tools to ensure that your home is dust-free. Below are some tools that professional cleaners use to do the job right. Microfiber cloths - Unlike a feather duster, a damp microfiber cloth effectively reduces household dust. Simply wipe any surface clean then rinse the cloth to clean the dust out. Steam mop - A steam mop works best in cleaning grout and tiles. This tool works best on marble, wood, vinyl, tile and laminate floors. And with its sterilizing power, you’ll save on expensive cleaning products as well. Stick or hand vacuum - A hand vacuum helps remove pet hair and crumbs on upholstery. It also keeps your car interior clean and helps freshen mattresses. Extension dusting kit - This helps dust off hard-to-reach places. Dusty surfaces like light fixtures, chandeliers and kitchen cupboards will be easier to clean. Squeegee - This one doesn’t sound like a cleaning tool but it gets the cleaning job right. It’s perfect for getting any window clean and streak-free. Scrub brush - There are endless ways to use a scrub brush. This tool is good for getting tough stains off garage floors or out of car mats and anything dirty that needs a good scrubbing. When you hire a simply maid, you won’t have to worry too much about maintaining cleanliness, especially in a house full of kids (or pets)! You also don’t have to shop for cleaning products because it’s already part of their service. The professional cleaners won’t be your responsibility. 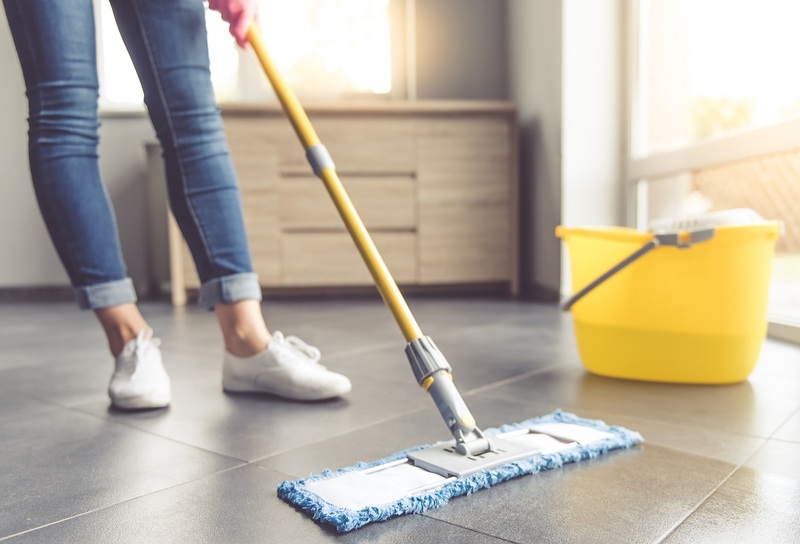 You only have to collaborate with the cleaning company to plan the most effective way to clean your home and set a schedule. A cleaning company will need your cooperation to create a suitable cleaning program. You have the freedom to decide on the cleaning schedule for the different parts of your home to avoid causing unnecessary disturbance. Location - Choose a cleaning service whose location is near to your home. So whenever you need cleaners to come quickly, they’ll arrive at the earliest time possible. References - Ask around about the cleaning service you intend to hire. You can also search online for reviews about their people and services to see if they have a good reputation. This way, you’ll have an idea whether they can handle the job well. Security - Inquire about what security measures they have in place to ensure that the cleaners are reliable and trustworthy. Since you’ll be letting them inside your home, you have to make sure that they are people you can trust. Cost - Ask how much they charge for their service. Do they charge per room per house or on a per hourly basis? It’s best to get several quotes from different cleaning service providers to compare rates. Trial cleaning - Once you meet with the cleaners, give a trial cleaning. This will let you see how efficient they are at their job. Remember to go with your instinct on whether you’d like to regularly hire them. With extra time on your hands, you can hit the gym, read a book, do some grocery shopping, or spend time with your loved ones. At the end of the day, you not just get to come home to a tidy and hygienic house but you also have made significant use of your leisure time. So save yourself time, energy and money by hiring a professional cleaner for your home. 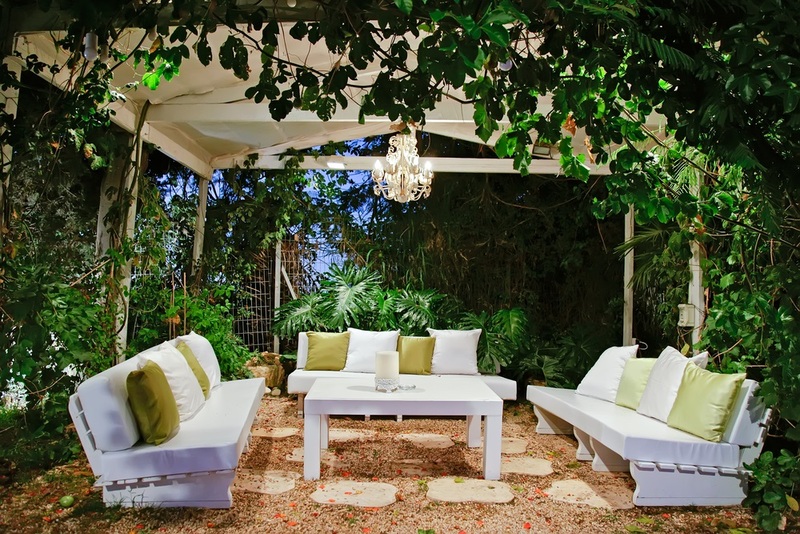 The trend toward creating stylish yet functional outdoor living spaces is stronger than ever. Many homeowners see the great value of this trend in elevating the quality of their life at home. Likewise, it goes perfectly well with a lot of folks’ pursuit of happiness in the great outdoors. If you’re seriously considering this trend to harness the benefits it’s known to provide, there are many ways to go about it. Listed below are six popular ideas recommended by reputable landscaping company, Hennessey LLC for turning a garden into a beautiful oasis for homeowners. Clear space in your yard for a fire pit. Not only will you automatically create an outdoor feature that you can cook in, but it can also create the right ambience for the area. It’s important to note as well that afire pit can actually contribute to the market value of your property. Perhaps the best thing about adding a fire pit to your garden is that you get a warm and cozy outdoor spot to spend a balmy evening in, regardless of whether you’re on your own or with other people. A family swimming pool, a charming fountain, a little birdbath, or even a small pond will literally turn your garden into an oasis. It’s a source of physical comfort (for you and for any small creatures that pay a visit to your outdoor space) on a hot and humid day. The beauty of incorporating a water feature in your garden is that it can help achieve a balance of elements, especially if you also have a fire pit. And if you subscribe to the principles of feng shui, you get to make sure that the garden is a wonderful source of energy with the water and fire features present (especially if these features are placed properly in the landscape according to the laws of feng shui). You can make your garden useful through the different hours of the day and even the changing seasons by incorporating a shelter and shade. Awnings, umbrellas, gazebos, lanais, and a canopy are all worth considering. These will allow you to use your garden maximally for outdoor entertaining or for your own relaxation anytime you want. 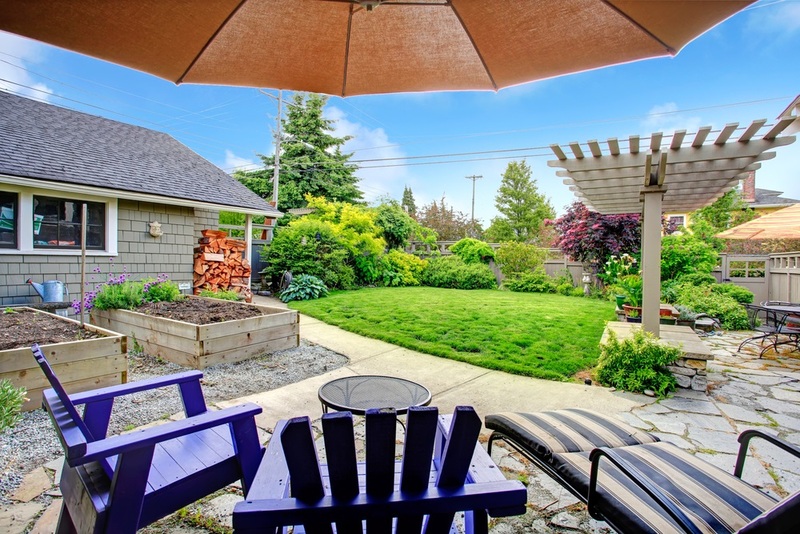 Additionally, shelter and shade can bring a lot of personality to your garden. Create a good design for your garden by defining areas with vertical elements that frame spaces such as hedges, trees, raised garden beds, railings and others. If you wish to draw attention to the living area of your garden, consider a gazebo or a cabana-type sitting area. This plays an important role in making the garden as visually pleasing as possible. From lamps to standing torches, to bistro string lights, to handmade luminaries – all these can highlight the beautiful features of the garden. 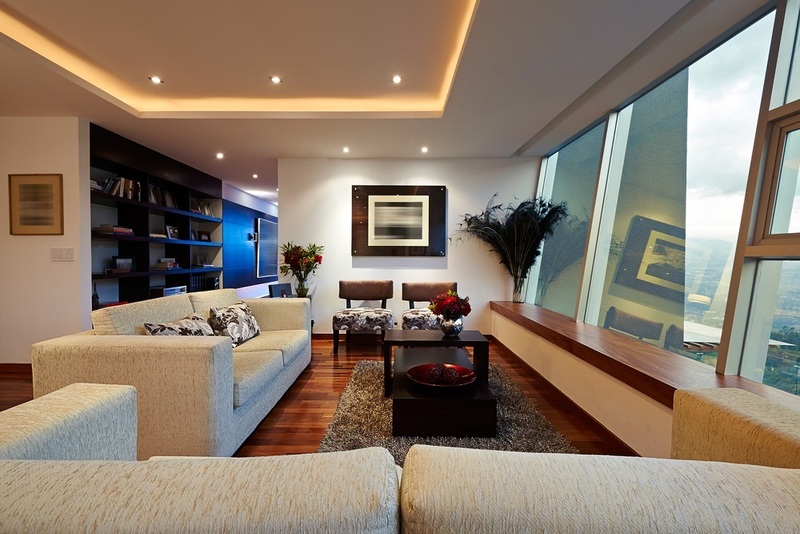 At the same time,strategic lighting will make the outdoor space more inviting. It’s worth noting as well that lighting will make your garden a safe place. Crime prevention experts stress the fact that burglars do avoid homes that have external lighting all around. The illumination makes them and their activities very visible. 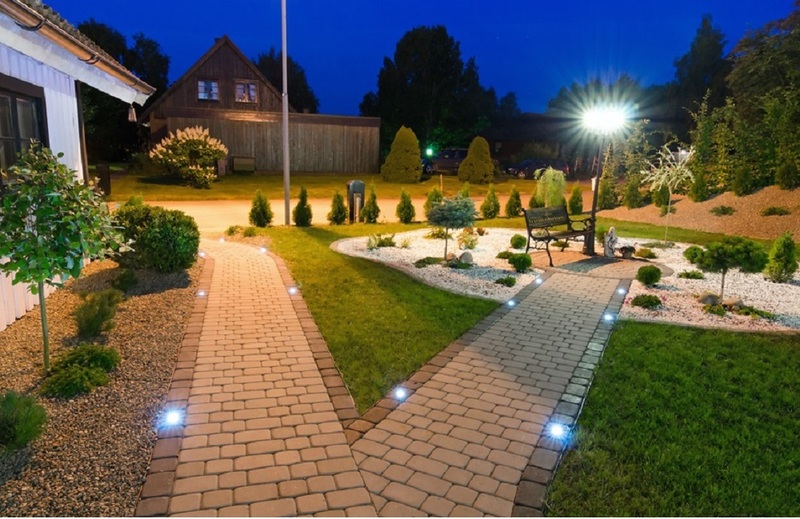 Therefore, when you add lighting to your garden, don’t think of it solely as a beautification feature because it can contribute to the safety of the entire property as well. Gardens appear more inviting, inspiring anyone who sees them to indulge in a few hours of relaxation, when they are creatively accessorized. Pull in colors and textures from your home’s design and architecture to achieve the look of continuity for the indoors and outdoors. Hang plants, invest in outdoor furniture and a audio system (great to use for parties), and add wind chimes and garden art, for example. You’ll enjoy every moment you spend in your garden when it has little elements that you like and that bring you joy. With a garden that is functional and fashionable, you will surely want to spend more time at home, which is a great thing (considering the cost of getting your res and relaxation elsewhere). Such a garden is a delight to the eyes and it offers long-lasting enjoyment for the entire household. Rachel Hennessey manages the Pools and Landscaping Division of Hennessey LLC. She also works on Tender and Pre-Qualification and brings in new business to the company's Construction, Interiors and Civils Division. Nowadays the entertainment units have taken a lot more vital place of importance in every living room than just being a TV stand. Well, you can take it in different ways. It is actually the center of gathering in every house; take it to be the gathering of family members for a movie time, or friends and family sipping on a cup of tea over an entertainment show, one of the lazy afternoons watching the home video with pals. As per statistics in most cases, people spend at least 3 to 4 hours a day watching TV. Well, the TV units or entertainment centers have actually emerged as the ultimate zone for daily entertainment in the everyday life of people. But, much more interestingly there has been a steep advancement in the requirements of entertainment centers since nowadays there are no more just TV units but a one-stop solution for multiple roles. However, most importantly, it now stands essentially to be a designer inclusion of any living room which epitomes the signature style of the interior decor, lifestyle, and taste of the homeowner as well. Therefore, keeping in mind the importance and utility of an entertainment center you must make proper considerations while making one for your home. Here are some of the most essential factors that ha been highlighted. 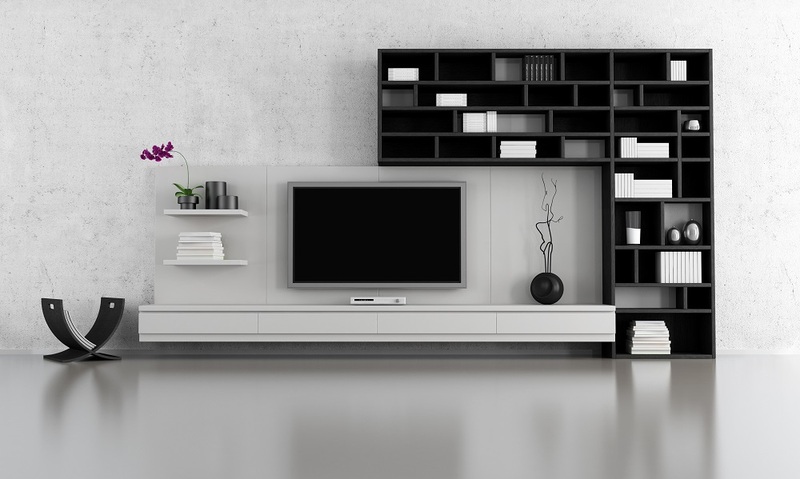 When you are considering the design and measurement of your TV unit, it is very important to take into consideration the size of your living room. Perhaps, it is the most important factor which helps you to acquire a unit that goes in sync with your available space. Like for example if you have a large room, it is recommended to opt for a comprehensive, complete wall unit with storage options, showcasing, abundant shelves as well a large TV standing option. This kind of elaborate unit will also help to define your room exclusively. However, contrasting to this, if you have a studio apartment or limited space, it is somewhat smart to go for sleek and creative design, utilizing minimum space yet adding the zing to your room decor. The design and style, measurement as well as storage option of your entertainment center depend on your requirement of its functionality. You must take into the consideration of having enough storage options in the room. 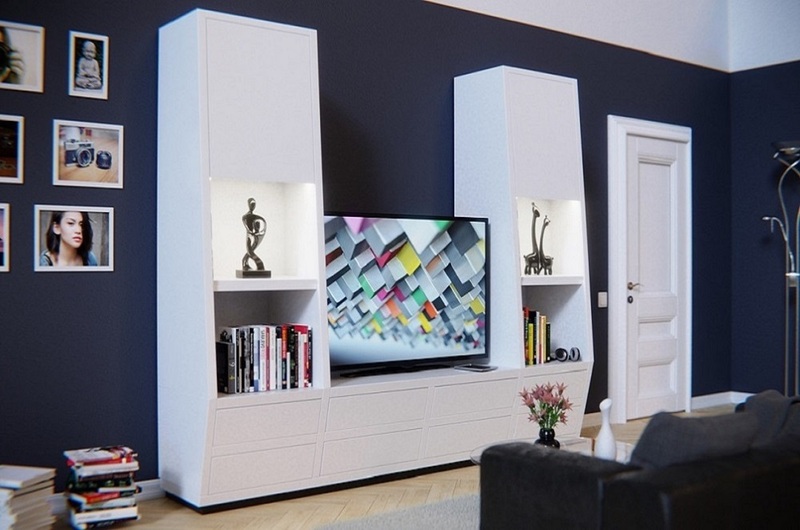 If you want your entertainment unit to be more inclined to showcasing decorative items, or if preference lies with just a simple unit highlighting maximum on the TV, it can affect the alter the design of the unit. Therefore, you must first jot down your preferences, functional requirements, and requirement of shelves, racks, drawers, etc. before finalizing any unit. Different people have different choices of material and finish. Like for example, while some like teak wood finish, others find creative and designer laminate finishes more interesting. Many people like to have light colored units and there are some who have a certain affection for matt finish wooden units. Therefore, your style expression is also reflected in your choice of TV units. Last but not the least, nowadays an additional requirement adds up to the entertainment units are a need for media storages, that storage option for DVD player, music systems, sound bars, and home theatre unit, etc. therefore, you must necessarily take into consideration if you already have such media units or plan to have one. It is wise to have options for media devices since, you hardly replace your TV units every two years or so, but you do change your music systems once in 3 to 4 years. You avail yourself two basic options when it comes to installing an air conditioner in your house. Either you hire a team of professional HVAC technicians or you fold up your sleeves for a DIY installation. Nonetheless, while HVAC technicians ensure a seamless service with minimum future complications, the DIY method involves a lot of stress and may cause recurring future repairs and incorrect placing of the machine. It is suggested to hire trained installers to install the air conditioners in your home and office because they can ensure you the utmost safety features along with the standard installation process. How would you install the air conditioners in your home and offices? Air conditioning installation must not be that hard to carry out once you know the tips and tricks of a successful technique. 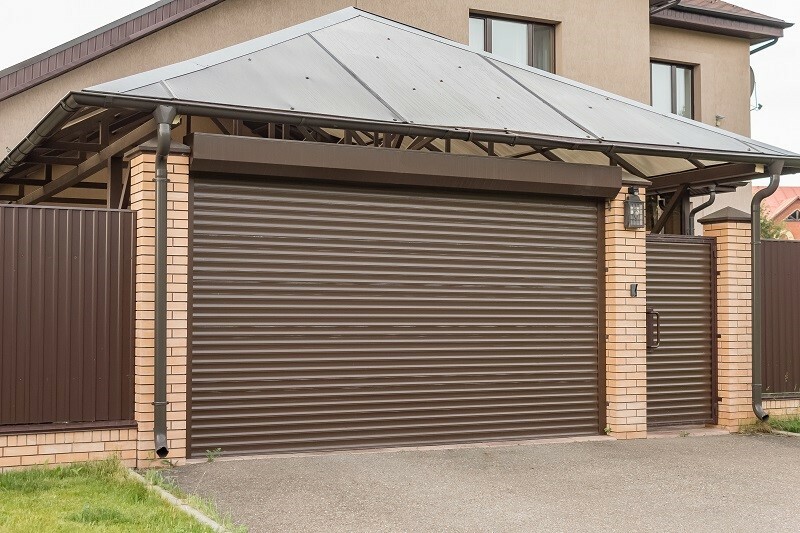 While many people, out of intimidation, opt for hiring a team of professionals carelessly, others choose to extract sufficient knowledge before proceeding with a DIY installation. The following tips should help you with any kind of air conditioning installation. 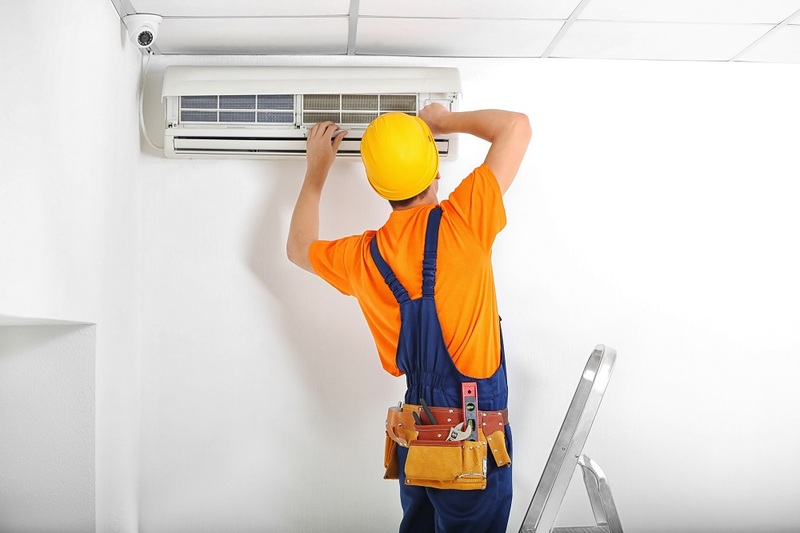 Avoid stressing yourself too much into hiring a professional for installing your air conditioner. The key to a seamless experience by the hands of HVAC technicians lies in hiring a licensed professional who has been confirmed for a liability insurance as well. This ensures that any damage done to your new machine in the hands of the contractor is liable to be borned by the contractor, and he will also be bound to pay the reparation fees created in the entire process. Air conditioning machines work almost as a dehumidifier that causes water to condense and collect inside the unit only to drain it out. Many people are of the mind that air conditioning installation requires being set at a certain angle to facilitate the drainage. In reality, the air conditioners are built with gutter and channels for eliminating the excess water level. Hence, altering the angle might cause it to malfunction. Professional air conditioner installers can easily install these channels and they can also drill your walls to fix the air conditioner units perfectly. It is obvious that an air conditioner has to work harder if it were installed in a room with poor insulation. Air conditioning installation in the windows requires keeping the window open creating an opening between the inside and the outside of the house. You could fill in the space between the top and bottom window panes with good insulating foam. 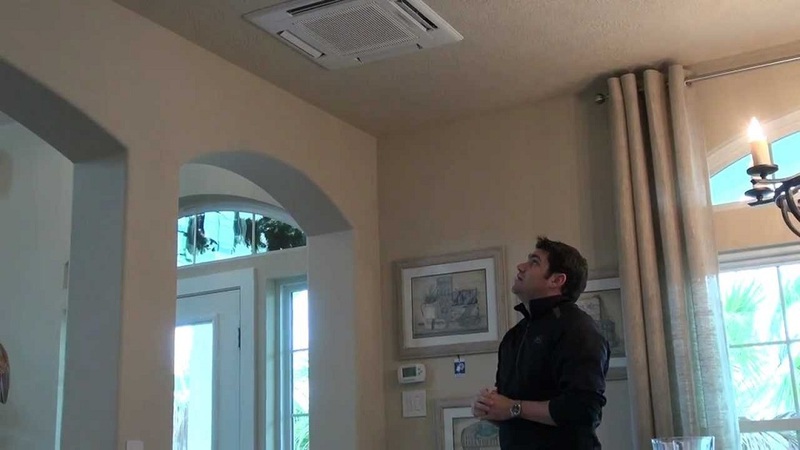 This one might sound a bit obvious, yet several owners are spotted making the wrong call in terms of an air conditioning system for their houses. 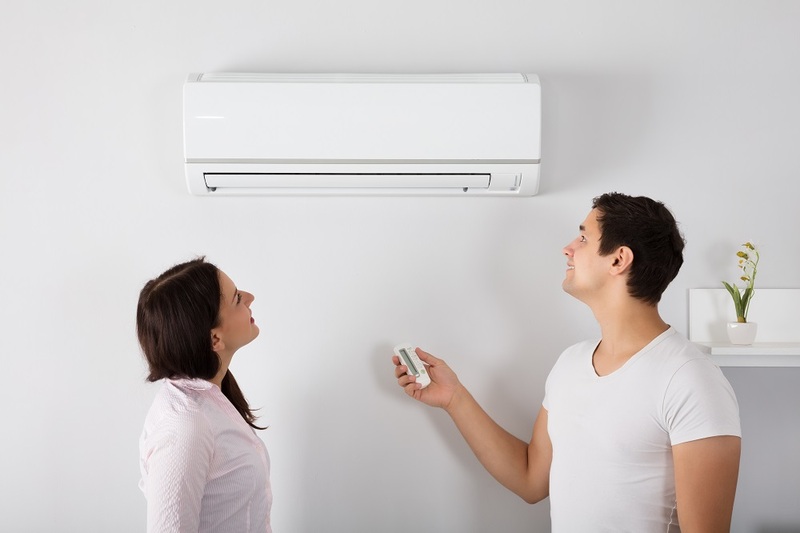 Air conditioning installation comes with several hacks and the most crucial of them all is to decide between a dual fuel Air conditioner, split central system, ductless mini splits and several others. If puzzled, consult a professional for the right home cooling option. The outdoor unit of the split air conditioner must be installed in an open space so that it gets no hindrance for dissipating the heat. Since the unit consists of important components of the split air conditioner like the compressor, fan motor, condenser, etc., the unit must be placed on a flat surface. Otherwise, the vibration might cause the copper pipes to break, coolant leakage and compressor/condenser damage. It is comprehensible that the summer heat compels you to proceed hastily with the air conditioning installation. Yet, if you do not keep in line with these simple tricks and hacks, the air conditioner may not perform as well as you had expected. Homes and offices are expected to have optimum temperatures for a pleasant living and working conditions. Most air-conditioning is best installed with the help of ducts conducting heat and cold, the cost involved is often high. There is a need to keep these ducts clean or maintained at all times. These include cleaning coils, drains, pans motors, and other important parts of the heating system. Generally, there are about 3 components that could be considered as basic to a gas ducted heating and cooling system. How do the gas heating systems work? The heating unit is often a centralized one. It then has heating ducts that carry high temperature air. Pumps may be used to push the airflow through the ducts. These ducts are heavily insulated to keep the temperature constant. Ducts will be located throughout the construction framework. They would run through the ceiling, present under the floor and along walls. Vents connected to the ducts ensure equal and systematic distribution of airflow. A furnace accomplishes the heating of the air that may use gas. The gas ducted heating system using natural or liquid petroleum gas is common amongst most home users. Gas ducted heating with the help of liquid petroleum gas is quite lower in cost and is easy to maintain too. Most units employ dampers to help regulate the temperatures throughout the building. Controlling the temperatures is an important aspect. Hence, dampers help in blocking heating ducts. Dampers can easily be controlled by remote or manual interventions. Hence, regulating what area of the duct carries hot and cold air. 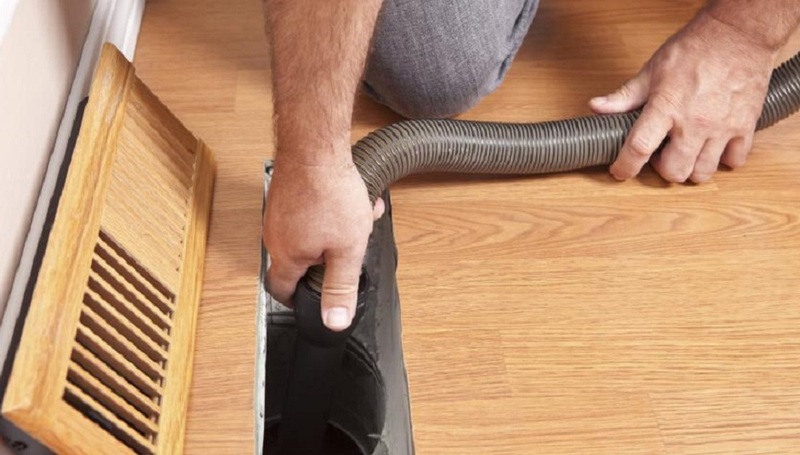 What do you need to know about floor ducting? 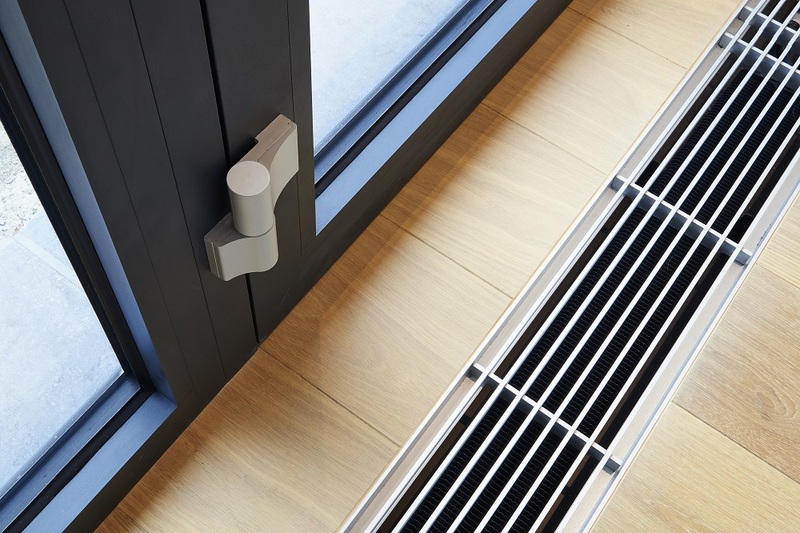 Most gas ducted heating systems are required in places that temperatures plunge down. The need for the floor to heat is accomplished by aligning the ducts and the duct systems around the flooring plan. Heat rises from the lower regions to the higher regions. Hence, the cooler air is displaced by hot air. Therefore, it makes sense to have the ducting for hot air to rise from the floor, ensuring effective heating in the room. There is a need to ascertain where the ducts of the vents will sit on the floor, this is to make sure that you do not damage them while moving furniture or other things inside the house. If your equipment is not installed in an efficient manner, it will not only put out more of carbon dioxide into the environment, but it will consume more energy to keep the gas ducted heating system going. A three-star unit will produce about three tons of carbon dioxide a year, if it uses natural gas. Ones that use liquid petroleum gas will produce nearly 4 ton of carbon dioxide every year. Many also use solar energy frequently, as it is an efficient source of energy. Simple cleaning is the key to maintenance of the gas ducted heating system. It not only confirms that you have safe and clean breathing air, at the same time, it will keep out dust and pollen. Most contamination ends up producing allergic reactions. At times, it can result in serious breathing related disease. Maintenance work can be outsourced to companies that specialize in cleaning and maintenance. The price of the contracting company for performing maintenance activity may need regulation. Since, their charges may vary depending upon the location you live, the size of your equipment, the degree of services requested, so on and so forth.